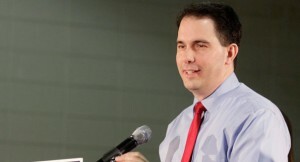 MADISON – Governor Scott Walker of Wisconsin signed a bill into law on Friday that requires all abortionists in the state to both show women ultrasound images of their unborn children and have admitting privileges at nearby hospitals. The 11-page bill, officially titled 2013 Senate Bill 206 (SB206), has been heralded as a strong piece of pro-life legislation, because ultrasound viewings often cause women to have second thoughts about abortion procedures. However, SB206 also requires doctors to carefully describe the unborn children to their mothers, so they understand how developed the babies are in the womb. Furthermore, the bill bans a doctor from performing abortions “unless he or she has admitting privileges in a hospital within 30 miles of the location where the abortion is to be performed.” This measure is designed to protect the woman’s health, in case something unexpected happens during the procedure. SB206 is often referred to as “Sonya’s Law,” because Sonya, a mother of two young children, was considering aborting her unborn third child late last year. However, according to reports, Sonya happened to see a bus sign advertising free ultrasounds, and—after observing her baby’s heartbeat on ultrasound—she changed her mind, deciding not to have an abortion. Soon after Governor Walker signed the bill late last week, the American Civil Liberties Union (ACLU) announced that they, along with Planned Parenthood, have filed a lawsuit against the state of Wisconsin, challenging the constitutionality of Sonya’s Law. A Friday ACLU press release claims that the bill might lead to the closure of two of Wisconsin’s four abortion clinics. Talcott Camp, deputy director of the ACLU Reproductive Freedom Project, agreed. However, Wisconsin Right to Life says the ACLU/Planned Parenthood lawsuit is “no surprise,” and will most likely be unsuccessful. Already, they point out, similar laws across the country have been enacted and upheld by courts. The signing of Wisconsin’s SB206 comes less than a week after Ohio Governor John Kasich authorized similar pro-life measures, as previously reported. In addition, pro-life legislation is also expected to be enacted in Texas, perhaps as soon as this week.